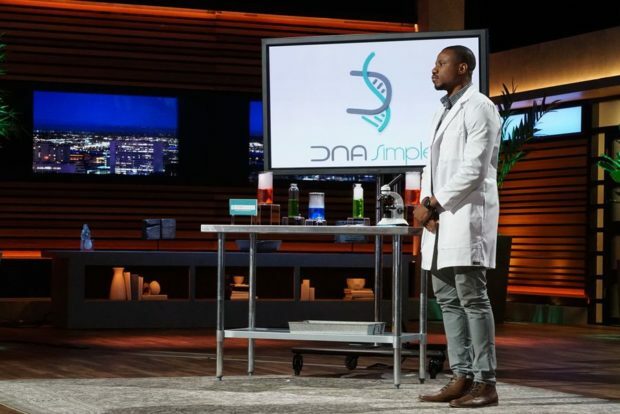 Olivier Noel pitched DNA Simple, a new way to support cutting-edge medical research, on a recent episode of ABC’s Shark Tank. After the show, Brandon Andrews sat down with Noel for an interview about the show and his business. Brandon Andrews: DNA Simple matches DNA donors with research studies looking for DNA that matches their background. Where did you get the idea? Olivier Noel: Back when I started my Ph.D., I realized how difficult it was to get specific samples from patients for scientific research regardless of how great the infrastructure, lab equipment, and even the amount of grant money we had. The geographic barrier between us scientists and patients is a difficult one to bypass. While attending a genetics conference in Philadelphia, I realized that this was a problem affecting scientists across the country and not just my research team at Penn State and came up with the idea for DNA Simple, an online database connecting patients and scientists independent of location. Why is providing a reliable source of DNA for research studies so important? Over the past 10 years or so, scientists have realized that a lot of conditions that were not previously thought to have a genetic basis are actually linked to our genes and genome. In fact, we’re finding out that even the genetic conditions themselves can be broken down into subtypes that are directly related to our DNA. This explains why it is so important for researchers to have a reliable source of DNA for research studies, to be able to study DNA of patients of different backgrounds. Once we can understand the disease process and genetics behind a condition, then we can bring about personalized care for such condition. How does DNA Simple work for donors and researchers? Walk us through the process. Donors simply register on our site DNAsimple.org and enter basic clinical and demographic information about themselves. Researchers also register on our site and set up a study. They can let us know, for example, that they are looking for 5,000 donors with a particular condition and background. We make the match and find them the donors who fit into their study from our database. Once a match is made, we send the donor a saliva collection kit to their house with a prepaid stamp, they send the sample back to us and we ultimately send the de-identified sample to the researcher. Finally we send a $50 check to the donor as compensation for their participation to the study. This process repeats itself every time a donor matches a research study. How are you keeping sensitive research and personal information safe? When a donor signs up on DNA Simple, his or her account is automatically de-identified and assigned a DNA Simple unique ID. This insures that we never work with or reveal a donor’s information at any point in our process. This is extremely important to us. Ultimately, a researcher receiving a sample will know that it has come from someone with the clinical characteristics sought after (e.g., a 37-year-old black female with breast cancer) but not that it has come from “Jane Smith from NYC.” In addition, we do have donors send us the samples back first as opposed to sending them directly to the researchers in order to mask their address and keep the process anonymous. What does scale mean for DNA Simple? How many donors would you like to have in your database? What does scaling DNA Simple mean for medical research? In our “perfect world,” everyone in the country (and the world) would be registered on DNA Simple and make themselves available to participating in research studies and provide samples. This is to say that we’d like to have as many people as possible and are targeting 1 million people as our next milestone. Scaling in such fashion will allow us to work with many more researchers and teams working to understand genetic conditions and looking to bring about cures to diseases. This can only be good news for the medical research field in general. You went from Queens, New York, to pitching DNA Simple on Shark Tank and striking a deal with Mark Cuban. Tell us about your experience on the show. The experience on the show was pretty special. 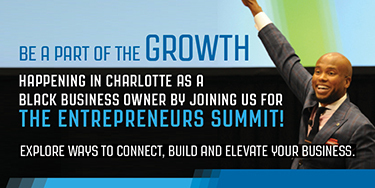 It’s not every day that you get to walk into a room with Richard Branson, Mark Cuban, Daymond John, and the rest of the star-studded line up that Shark Tank has. 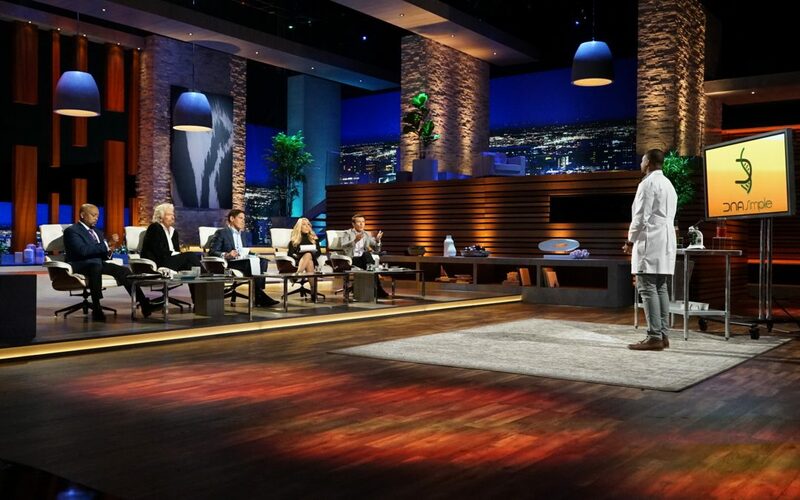 So for me to grow up in Haiti and to make it to Queens and then to Shark Tank was pretty special and one of the coolest experiences in my life for sure. Give us an update. What have you been working on since the show? Since the pitch, we’ve grown quite a bit from a just a few thousands of donors in our database to now over 60,000 and growing. We’ve also added the option to donate urine and stool samples to researchers who would like to have such samples for their studies. As an additional option, we also offer ancestry and genetic testing for about 70 traits to folks who’d like to get such a service. Are there medical benefits to having more DNA donors from the African diaspora? Absolutely! Having diversity in research studies is incredibly important. To date, less than 5% of all clinical trials have included non-whites, and less than 2% of clinical cancer research studies focus on non-white ethnic or racial groups, which is a mind-boggling number. As I mentioned earlier, it is critical to understand one’s genetic background to ultimately bring about personalized therapy. It also applies to different ethnic backgrounds. While African Americans and other members of the diaspora are not a different race– scientifically speaking–there are clear, unique, genetic footprints and markers that need to be studied and understood in order to serve and deliver appropriate and personalized therapy to that patient population. Medicine is no longer a one-size-fits-all endeavor, and that certainly applies to the different ethnic backgrounds.